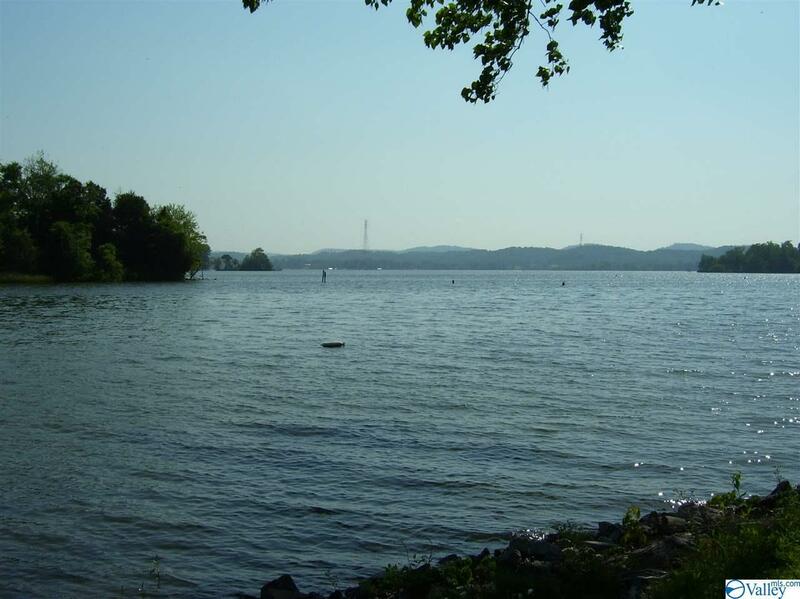 This LAKE GUNTERSVILLE Water Front Property has been Completely Remodeled/ Updated to include New Pella Sliding Doors and Beautiful Updated Bathrooms with Granite Counters and New Cabinets. The unit is Tiled throughout the Downstairs area which consists of the Kitchen, Dining Area, Large Family Room with Gas Fireplace and Guest Bath. 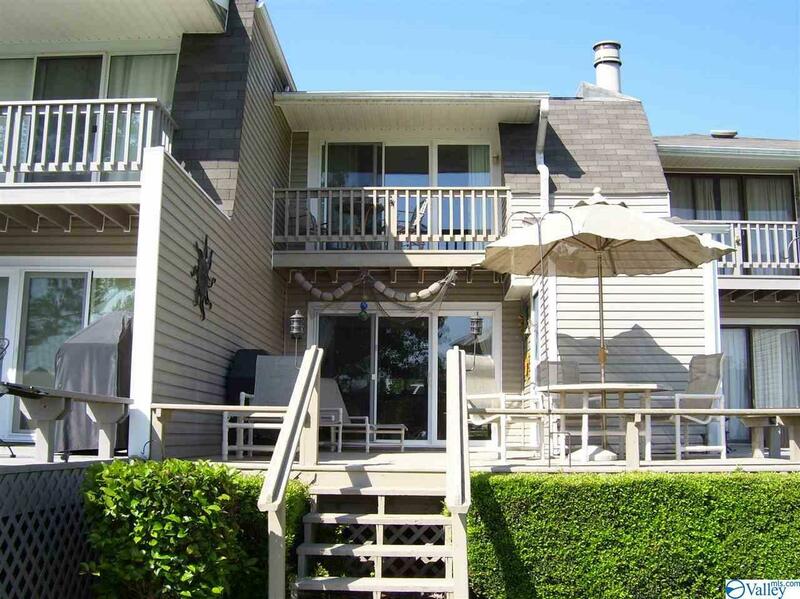 There are Two Large Upstairs Bedrooms, both with Large ensuite Bathrooms, Private Balconies and a Laundry Area. 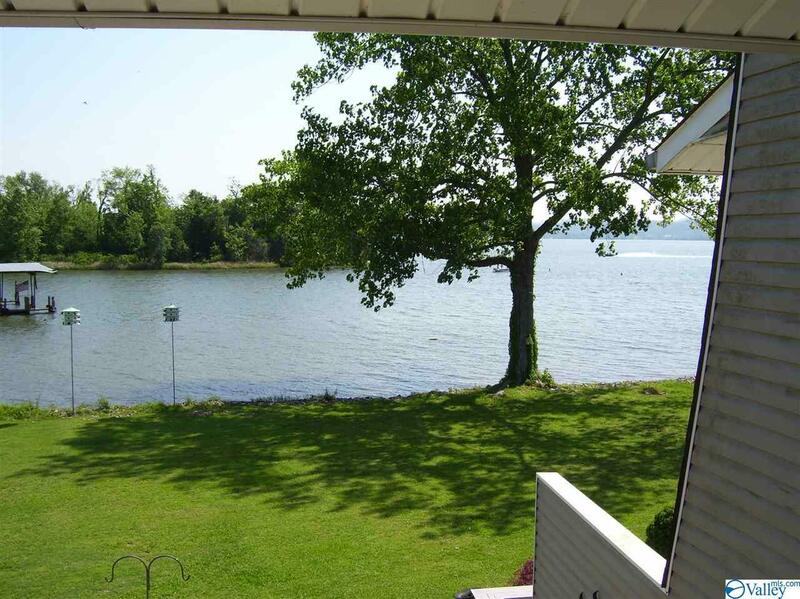 The Master Bedroom with Balcony Overlooks Beautiful Lake Guntersville. 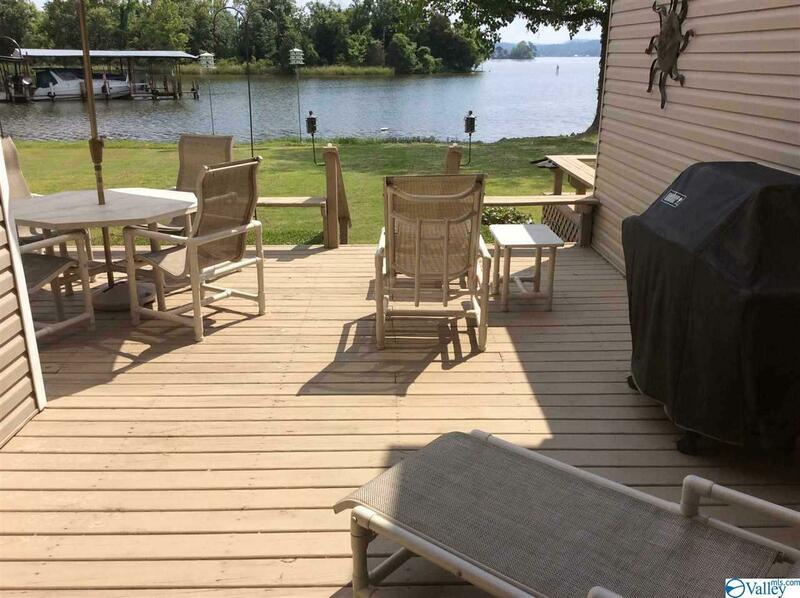 The Condo's Large Outside Entertaining Waterfront Deck has Direct Access to the Water. There is a Boat Marina and Boat Launch...Right Next Door...about 50 yards away.